curaet | Things I care about. YMMV. OK, so I haven’t done anything with this site in over a year. I’ll have to see if I can change that. As someone who missed out on the HP Touchpad craze (that was the wrong weekend to take an internet sabbatical) and a big fan of the Kindle, Amazon’s announcement this morning of their 7″ full color tablet, the Kindle Fire, has me easily ready to part with $199. My main concern with the Touchpad (though I’m still feverishly searching for one at the firesale price) is future support. The Kindle Fire won’t have this issue. I may have to hold off on the new gaming HDTV I was planning on buying…or at least rearrange my funds. You can preorder the Kindle Fire here. Today’s LivingSocial deal is a $10 voucher for $20 worth of groceries at Whole Foods. I’ll be honest: I’m going to spend it all on soda. Whole Foods is the only place locally I can get Maine Root Ginger Brew. Unfortunately, you’re limited to one voucher per person. 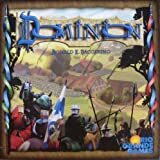 Dominion is currently available for $29.99 (33% off) on Amazon. Scott Pilgrim vs. the World (Two-Disc Blu-ray/DVD Combo) is currently available for $11.99 (56% off) on Amazon. Deus Ex: Human Revolution (360/PS3) is currently available for $34.99 (42% off) on Amazon. Tron: Betrayal is currently available for $4.00 (60% off) on Amazon.